The glossy PVC is still going strong since last fall and winter season, and in particular cool in this editorial for French Vogue, featuring Anna Ewers and Mica Arganaraz. Alt couldn’t capture this fall better than with flared trousers, glossy crocodile mini dresses, knee-high boots, and graphic pieces. 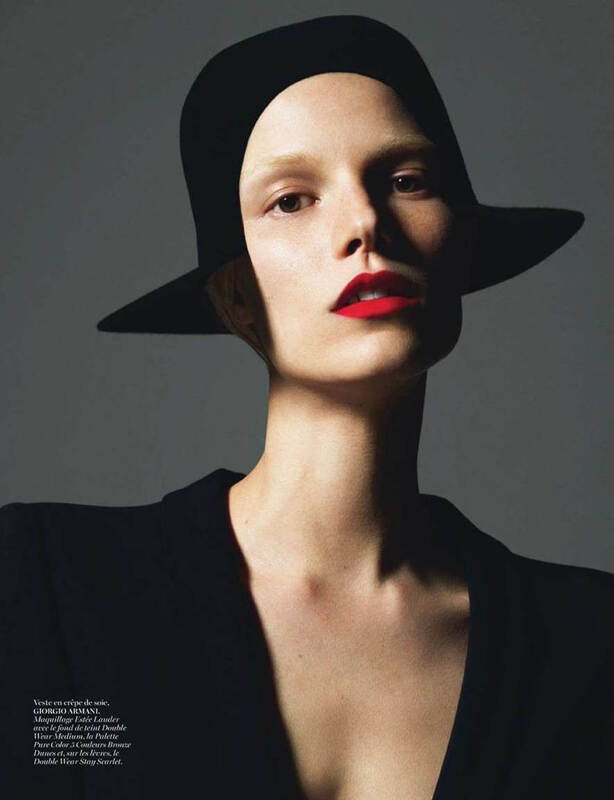 The editorial ‘Sauvage Innoncence’ is styled by Emmanuelle Alt for Vogue Paris August 2015 captured by Inez and Vinoodh. Sophia Ahrens is on the hot list on models.com at the moment, and I couldn’t dis-agree. She started her career with a campaign feature in Prada for the Italian house’s fall and winter collection 2013 and the following it up with walking all of the top brands runways like Céline, Chanel and Givenchy. 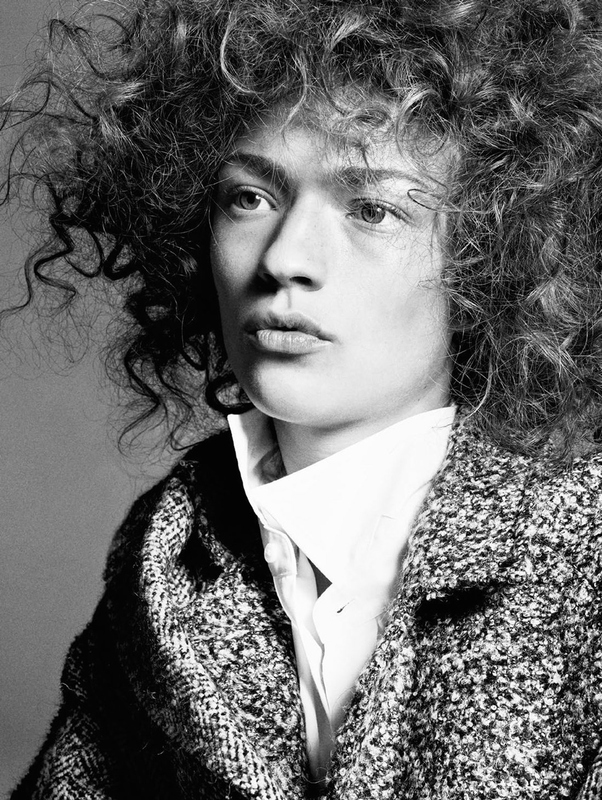 Here she is photographed by Christian MacDonald for Vogue Paris August 2015 in the editorial called ‘Comme un Garcon’ styled by Veronique Didry. And oh my, her hair is simply stunning. This editorial, styled by Emmanuelle Alt, is featured in the Vogue May 2013 issue and photographed by talented duo Inez & Vinoodh. Freja is one of my all time favorite models, there is just something about her look that is so flawless. For this editorial she is wearing couture and show pieces Elie Saab, Giambattista Valli, Chanel and more. My absolute favorite looks are the one from Armani Privé (above) and the Gaultier Paris (below). I love how she work the knotted sequin top with the slitted skirt and the trousers underneath. True perfection, and I wouldn’t mind strolling around in something similar this summer. I totally need to look after a skirt like that. Although maybe a bit shorter, but still. Just gorgeous to a loose fitted tee and flats sandals. 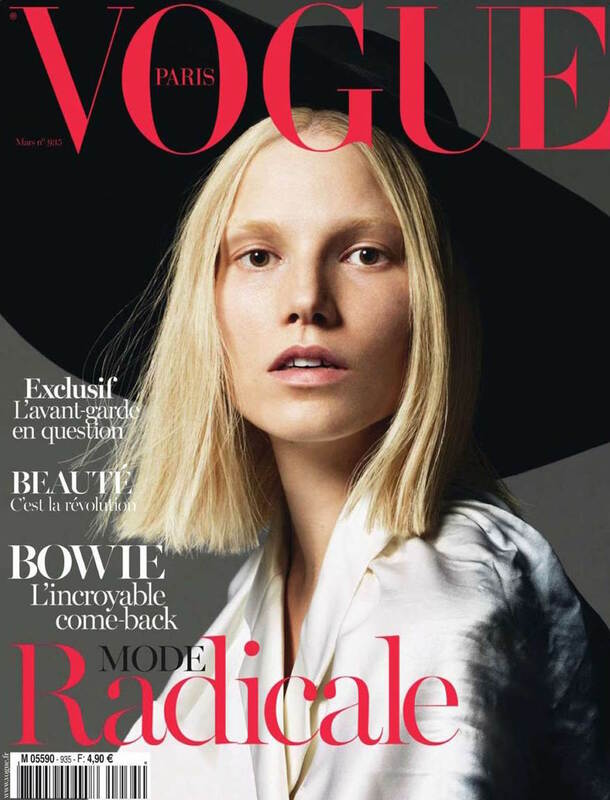 Today the May issue of Vogue Paris hit the stands and I can’t wait to grab this issue – the editorials that I have seen looks amazing. In this issue focus lies on the Cannes Film Festival as well as Punk and the exhibition of ‘Punk: Chaos to Couture’. The exhibition that will open at the MET in N.Y this May was also the inspiration of the Style.com Print’s third issue, something I wrote about here. I am really curious about this expo especially since both Style.com/Print and Vogue Paris has taking it under their wings for their latest issues, and I would love to see it. Freja Beha Erichsen is featured on the cover in a punk chic look shot by the amazing duo Inez & Vinoodh. Anyway, I couldn’t help myself to post an editorial that I liked from this issue styled by Emmanuelle Alt from one of the location they been to, the Sahara desert. I love the sport influences and Andreea Diaconu looks amazing. Emily Di Danato looks absolutely stunning in this watch-editorial in Vogue Paris April 2013 by Giampaolo Sgura. But, it was not her, but the watches I wanted to mention. Vogue Paris is amazing in finding beautiful, classic and timeless pieces for their editorials, and in this one you can see it is no exception. I love the Hublot watch as well as the Chanel link-watch in silver (the last picture). I love my current watch, and use it every day. Although I wouldn’t mind updating it with an alligator leather strap… But if I would go for a new one a would definitely want the Chanel one, or a Jaeger-LeCoultre (the Reverso is a favorite!). This spring is all about the high heeled knee-high gladiator sandal. Altuzurra showed some amazing ones, as well as Salvatore Ferragamo, Alexander Wang and Jimmy Choo. In the latest issue of Vogue Paris Natasha Poly is styled by Géraldine Saglio in thigh high boots for their ‘I love New York’ editorial. Very bohemian and goregous 70s looks where we can spot the stunning Ferragemo boots and the S/S13 Altuzurra ones. Above you’ll see the Salvatore Ferragamo laced-up boots that is also featured in the editorial underneath.